B. 25 Dec 1652 at Edinburgh Ref. 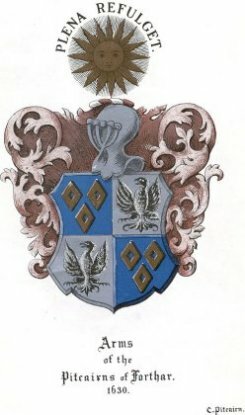 Archibald Pitcairn was the son of Alexander Pitcairn of Kilmurkis, Unstoun and Janet Sydserff. Archibald is probably one of the most famous Pitcairn ranking alongside Commendator Robert Pitcairn and Major John Pitcairn. His life in the field of medicine has been well documented and and there are a number of links included with the "link" page which are associated with this fine man.